This is the first installment of a weekly thing we will be doing on downthetunnel.com (better late than never! 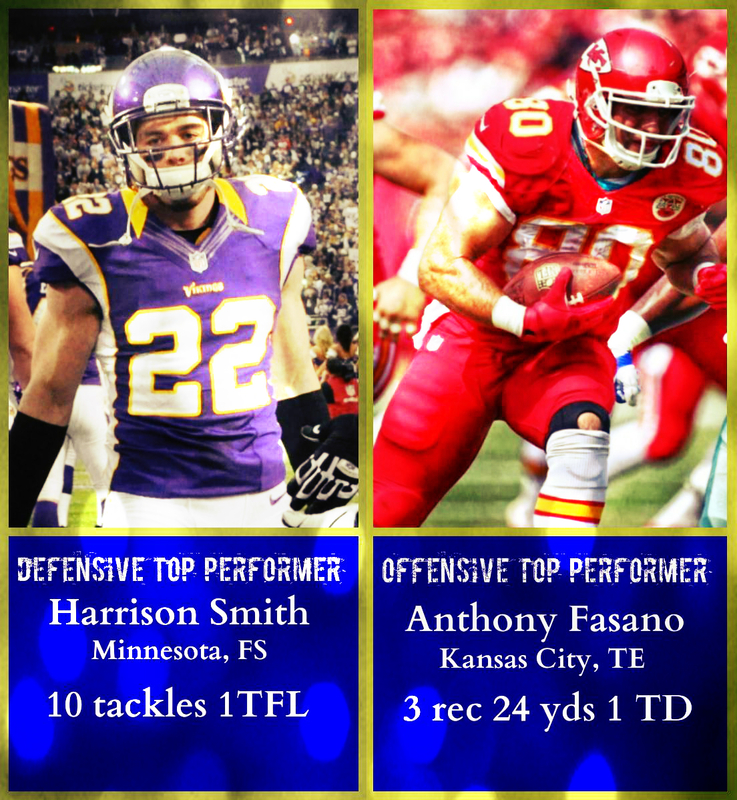 ), featuring our picks for the defensive and offensive Irish players of the week in the NFL. We will also display the weekly stats of all our former Notre Dame greats currently in the NFL. From a defensive aspect, get used to seeing the Vikings’ Smith on as the player of the week often. He has been a game changer for Minnesota since he came into the league.